Michael Appel is a seasoned executive with more than 35 years of experience leading and advising retail and consumer product companies. He has served as interim CEO, interim COO, and financial advisor for many well-known companies. His hands-on experience in multiple specialty-wholesale categories, including apparel, home furnishings and accessories, enables him to offer an insightful perspective. He has worked alongside management teams and sponsors to create growth plans and execute strategies. In addition to his turnaround management and performance improvement experience, Mr. Appel has provided strategic advisory, due diligence and expert witness consulting services to retailers, financial institutions, law firms and consumer product companies. These include Ford Motor Company, Castle Harlan, Whippoorwill Associates (Barney’s New York) and AIG. Mr. Appel currently serves on the board of directors for Things Remembered, the advisory board for FITs Global Fashion Management master’s program and as a trustee for the Turnaround Management Association (TMA) Global. 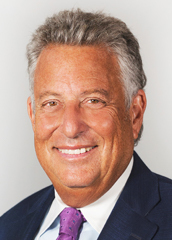 He previously served as a member of the board of directors of Loehmann’s, Inc., Mattress Discounters, and Charming Shoppes, Inc. (Lane Bryant, Catherine’s) where he also served as Chairman of the Compensation Committee. Michael served on the board of directors of the LIM Fashion Education Foundation. Mr. Appel earned his Master of Business Administration from the Harvard Business School and a B.A. from Brandeis University. He is an active member of the Association for Corporate Growth, TMA Global and the Fashion Group.